Mangrove Tax and Accounting – Financial services for small businesses in St Petersburg, Tampa, Clearwater and the surrounding areas. We take great pride in helping our clients achieve their financial goals. We want to be a part of your success. 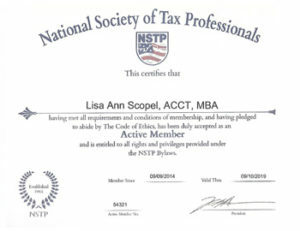 As a member of the National Association of Tax Professionals . . . I will, to the best of my ability, apply these laws for the protection of my clients. I will observe the client’s right to privacy and confidentiality. 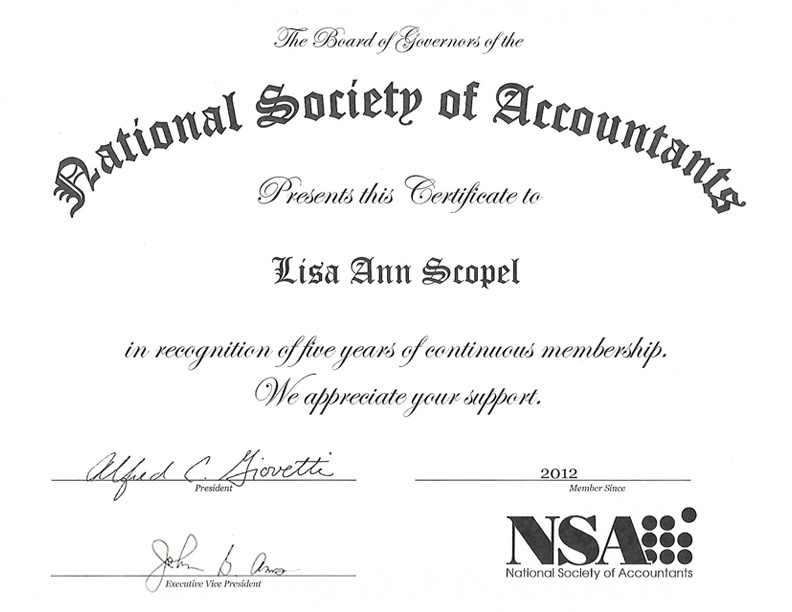 Lisa possesses nearly three decades of experience in accounting, giving her the skills and savvy to open her own practice, Visionary Financial Services, in 2006. Over the course of her career, she has helped countless individuals and small businesses with their unique situations and financial needs. In 2016 Visionary Financial Services Inc. was re-branded to Mangrove Tax and Accounting Services Inc., to increase the number of client services available. Mangrove Tax and Accounting Services Inc. along with the other divisions of Mangrove Financial Group LLC provide a multitude of client centric services. 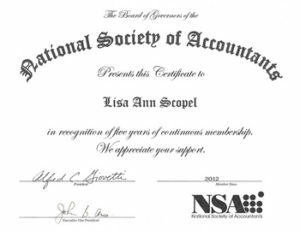 Lisa received her Associate of Arts degree from Saint Petersburg College, majoring in Accounting, with a minor in Sign Language Interpreting. 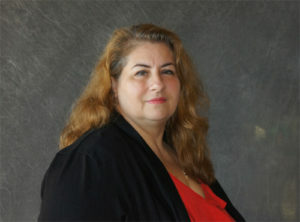 Her education continued at Florida Metropolitan University, a division of Tampa College, receiving her Bachelor of Science degree in Accounting, with a concentration in cost accounting. She earned her Masters of Business Administration from the University of Phoenix, with a concentration in accounting. In 2016 she sat for and passed all three exams to become an enrolled agent. In December 2016 she was awarded the prestigious title of Enrolled Agent. Lisa is active in her community sitting on the boards of not-for-profit organizations and is an active member in her church. 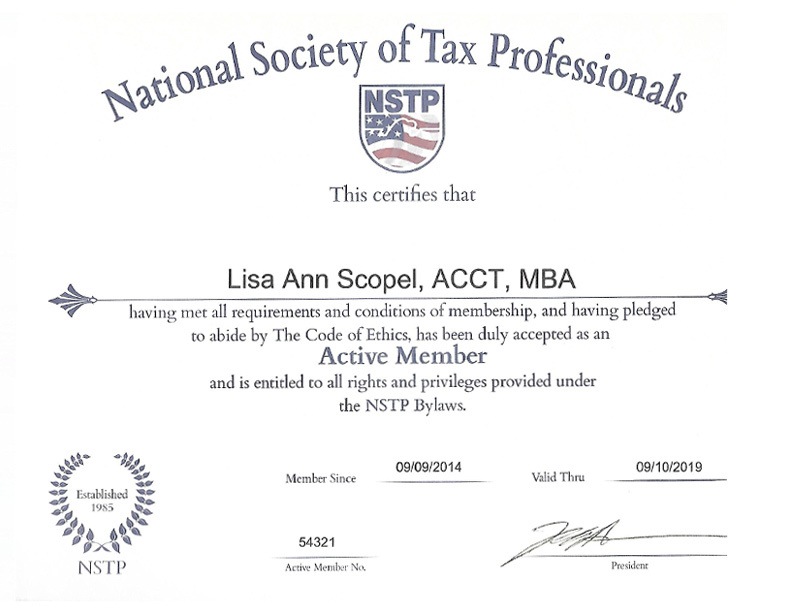 She maintains a high level of expertise participating in continuing professional education above and beyond what is required by the Internal Revenue Service and her professional affiliations. An enrolled agent is a person who has earned the privilege of representing taxpayers before the Internal Revenue Service by either passing a three-part comprehensive IRS test covering individual and business tax returns, or through experience as a former IRS employee. 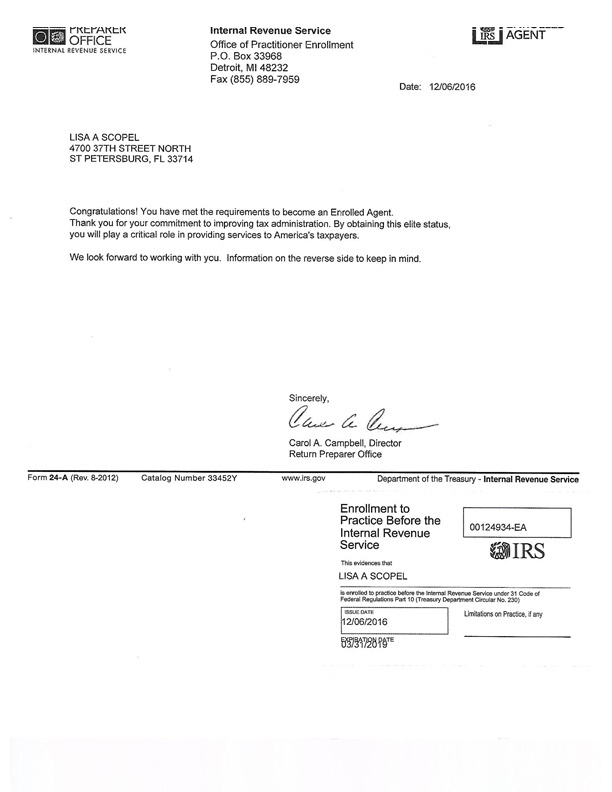 Enrolled agent status is the highest credential the IRS awards. Individuals who obtain this elite status must adhere to ethical standards and complete 72 hours of continuing education courses every three years. Enrolled agents, like attorneys and certified public accountants (CPAs), have unlimited practice rights. 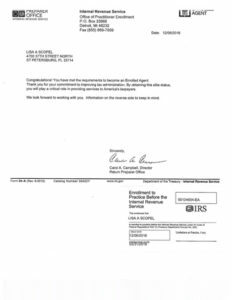 This means they are unrestricted as to which taxpayers they can represent, what types of tax matters they can handle, and which IRS offices they can represent clients before. Learn more about enrolled agents in Treasury Department Circular 230 (PDF).